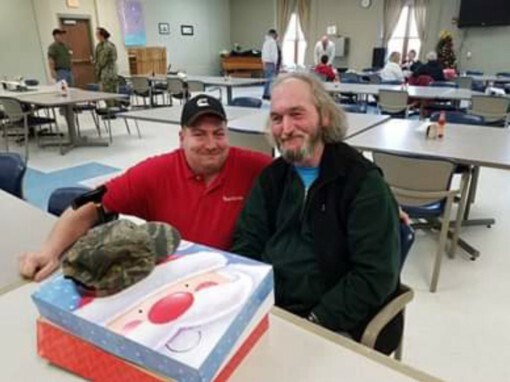 For the past 12 years Regal Service has sponsored veterans for Christmas. The Soldiers & Sailors Home, in Erie, PA, provides Regal Service with a list of approximately 6 veterans currently living at the facility. Scott McFeely takes donations form all Regal employees and then proceeds to purchase and wrap. 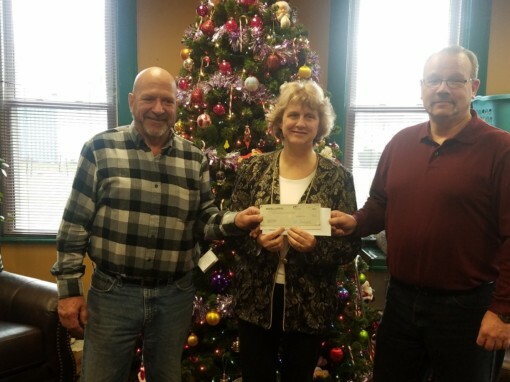 . .
Don Undercofler and Allen Matters present Nancy McIntosh with a check for $750 to help assist the library in reaching their fundraising goal for 2018. For the past 15 years Regal Service and US Marine Corps has been providing less fortunate children with Christmas gifts. Each year, Scott McFeely collects donations for the Regal Service employees to purchase new toys for all aged children. 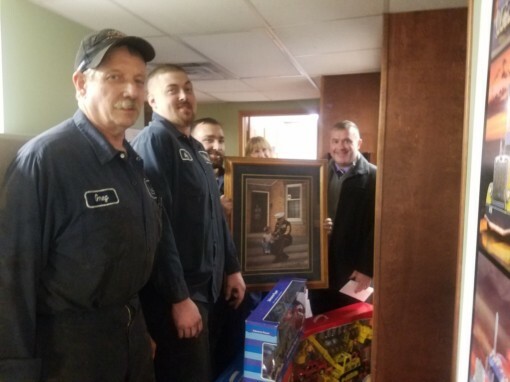 Many employees bring in new toys to add to the bins.. . .
Regal Service is proud to have many former service members as employees. 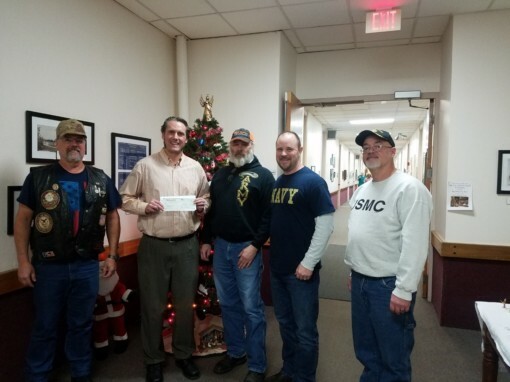 In December 2018, Regal Service employees presented Ken Vybiral of the Soldiers and Sailors Home in Erie, PA with a check for $5,000 to help in their veteran programs. Representing Regal Service was Bill Gutz, Air Force; Jody. . .
Bill Gutz, Regal Service & Fire Commissioner; Elias Quintero, Interior Firefighter; Heather Kalicky, Regal Service, Phyllis Gutz, EMS Captain; Chris Rotunda, Exterior Firefighter; Roy Fletcher, Ambulance Driver; Tim Betts, Interior Firefighter; Mark Smith, Chief; and Martin Norman, Fire Commissioner. 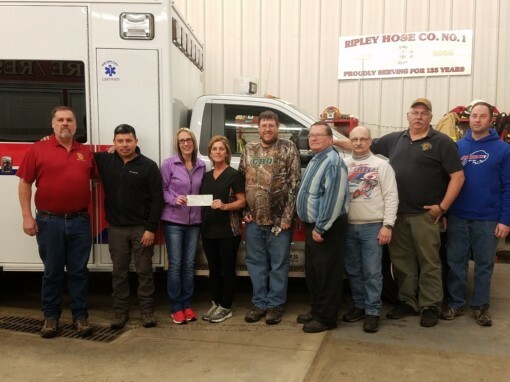 Regal Service donated $3,500.00 to the Ripley Fire Hose Company so. . .